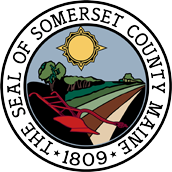 The Somerset County Sheriff’s Office is dedicated to protecting life, property, and the rights of citizens and visitors of Somerset County. The Sheriff’s Office will execute its duties with utmost integrity and treat everyone with respect and professionalism. The Sheriff’s Office will neither discriminate nor tolerate discrimination against anyone while performing our responsibilities.